A smile makeover—also known as a “smile design”—refers to a personalized combination of dental treatments intended to restore optimal form to one’s teeth and gums for a beautiful, revitalized smile. This comprehensive dental solution can be an excellent option for many individuals who are bothered by multiple cosmetic issues, including tooth discoloration, chips, cracks, gaps, misalignments, missing teeth, or even excessive gum tissue (gummy smile). By customizing a treatment plan based on your specific needs and goals, our experienced team of dentists can help you address your unique concerns and achieve a smile you are proud to put on display. Porcelain dental veneers are thin shells placed over the front of the teeth to create a flawless-looking smile. Veneers can conceal a variety of aesthetic concerns, including chips, cracks, stains, gaps, and mild misalignment. 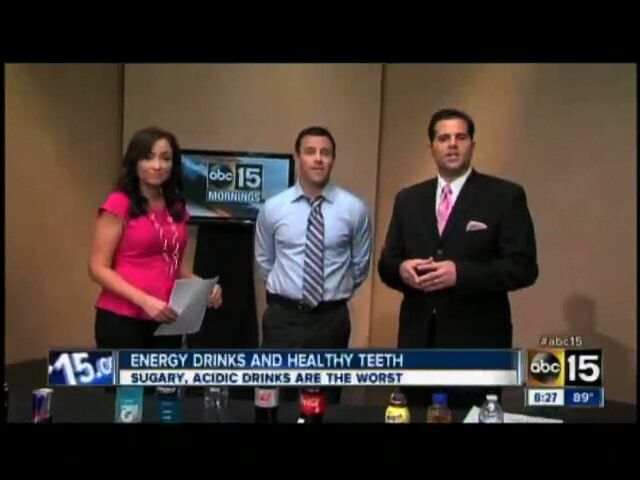 Teeth whitening is one of the simplest ways to transform the look of your teeth. Our dentists offer professional in-office whitening treatments with Venus White® Max, as well as take-home trays for patients to brighten their smile at home. Cosmetic bonding is a conservative dental solution that can treat spaces between teeth, correct small chips, improve tooth shape, and conceal stains. 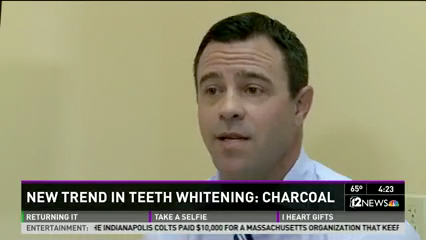 The treatment involves molding a tooth-colored ceramic resin and bonding it to the affected teeth. Crowns are a commonly used restoration that can strengthen a tooth that has become weak due to damage or decay. Custom-made to match the surrounding teeth, crowns act as a “cap” that covers the visible portion of the tooth above the gums. If a single tooth is missing, a dental bridge may be recommended. Bridges typically involve an artificial tooth to fill a gap, with a crown connected to each side to ultimately attach to the adjacent teeth. Gum recontouring can help patients with a “gummy smile” by reshaping the gum line to reveal more of their teeth. Our dentists perform this procedure using laser technology to precisely reduce the amount of gum tissue covering the front of the teeth. 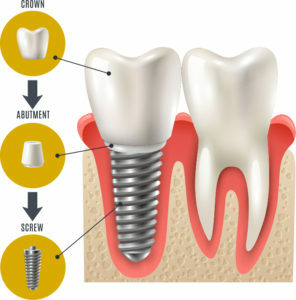 Dental implants are the most lifelike replacement for a missing tooth. Composed of a titanium rod with an attached crown, dental implants can replace the entire structure of the natural tooth—from the exposed tooth surface down to the root—for the utmost stability. Invisalign is a popular clear braces system that helps straighten crooked teeth in a more discreet manner. By utilizing a series of custom-fitted aligners, patients can gradually shift their teeth into the desired position. To begin the smile design process, one of our dentists will perform a thorough assessment of your teeth and gums to determine which treatments would be most beneficial for your specific case. Next, they will offer a full explanation of what to expect for all recommended procedures, including how each is performed, how many visits will be necessary, what the overall cost will be, and various other applicable details. When a personalized smile makeover plan has been agreed upon, your treatment can be scheduled and performed at time that is convenient for you. Depending on the procedures involved, the full smile makeover may be completed during a single office visit, or it may be spaced out over multiple appointments. Whatever the case, our team will provide an exceptional level of care from start to finish to ensure you achieve the beautiful, vibrant smile you desire. 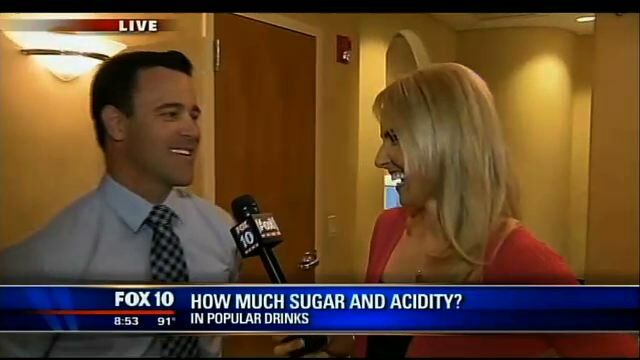 On average, the price range of a smile makeover at North Scottsdale Dental Studio generally starts around $6,000 and runs higher based on the extent and complexity of the dental work needed/desired. To help patients cover the expense, our practice offers various dental financing options through CareCredit®, a reputable healthcare lender. CareCredit® provides numerous payment plan options that can break the total expense of treatment into monthly payments with little to no interest. 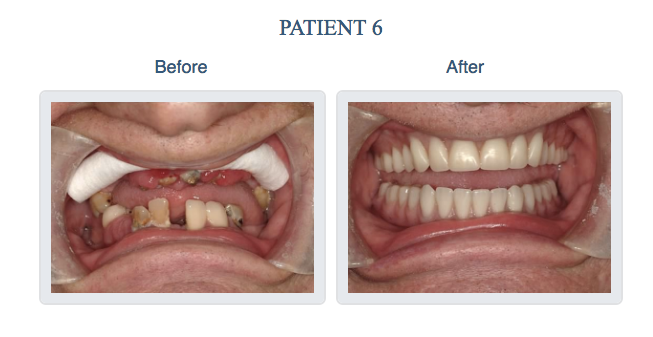 By using this service, a smile makeover can be an affordable reality for virtually any budget and financial situation. Selecting the right dentist to perform your smile makeover is vital to achieving an excellent outcome in the safest, most effective manner possible. The following list contains key elements that should be taken into consideration when making this critical decision. Ensure your dentist offers a comprehensive span of cosmetic and restorative dentistry procedures. A doctor who does not perform a full array of treatments might recommend options that are not the most beneficial for your specific needs and goals simply based on what is available at his or her practice. 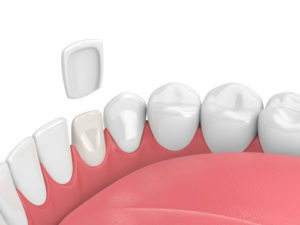 Make sure your dentist is skilled in performing the treatments proposed for your smile makeover. A great way to do this is to ask your prospective doctor to show you before and after photos of previous patients, as well as to visit the photo gallery—commonly referred to as a “Smile Gallery”—on his or her website. These resources can provide an accurate representation of the results a dentist is capable of achieving. Confirm that your dentist is highly trained and experienced in the field of dentistry. Viewing a doctor’s bio page and various directory listings on the Internet can help you verify their credentials, how long they have been in practice, how much training they have undergone, and more. It is also a good idea to look for what dental societies they are involved in, as well as any honors or awards they have received. Ensure there is strong communication between you and your dentist. The doctor you choose should be very attentive as you describe your concerns and goals, as well as extremely clear when describing your treatment options and his or her recommendations. You should be able to ask any questions or express any concerns knowing that you will receive a straightforward answer and/or advice that is in your best interest. Ultimately, if something does not feel right—it probably isn’t. Take your time selecting the right smile makeover dentist, and only proceed with treatment when you feel completely comfortable. For more information, or if you would like to schedule an appointment to discover how our dentists can help you attain your smile goals, please feel free to reach out to our practice online or by phone today.